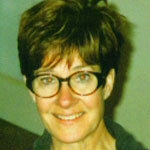 Kathleen Cairns teaches history and women’s studies at California Polytechnic State University, San Luis Obispo. A former reporter and editor for Knight-Ridder newspapers, she is the author of two books: Front-Page Women Journalists, 1920-1950, University of Nebraska Press, 2003; and the forthcoming The Enigma Woman, The Death Sentence of Nellie May Madison, University of Nebraska Press, spring 2007. She holds a Ph.D. in history from the University of California, Davis.